Things have been a bit quiet in KBC land recently because we have been engaged in the only pastime more fun than blogging – READING. 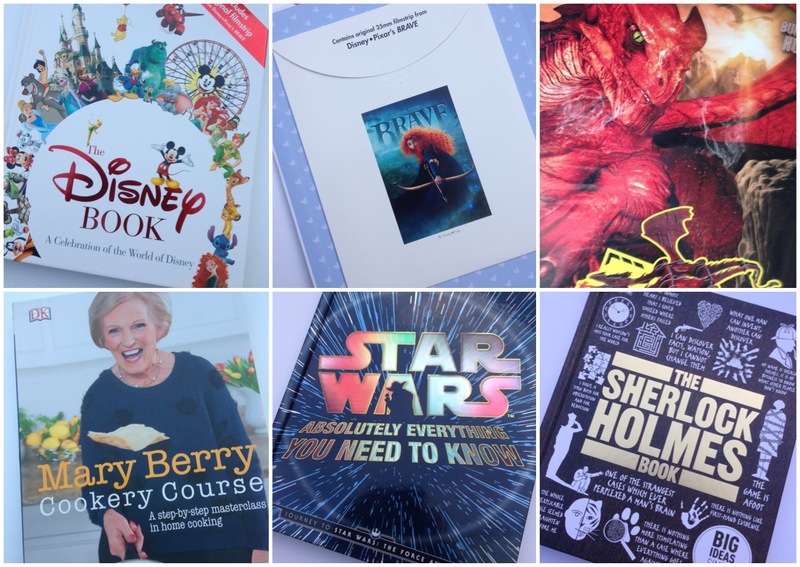 We’ve been looking at some of the terrific books released recently which we think would make a top gift for readers of any age. Buy one for a friend or put one on your Christmas list – click on the pictures to buy the book. And feel free to add a comment if there’s a book on your wishlist that you don’t see here. The trouble with Harry Potter fans is that they’ve probably already got all the Harry Potter books. But this edition is something new – it’s a ginormous hardback illustrated edition, with beautiful pictures on every page. Even if you’ve already got all the Hogwarts tomes, you’re going to need this one to complete your collection. This is one book we went back to again and again. The Sherlock Holmes Book published by DK brings the great detective’s world to life with witty illustrations, fun facts, graphs and memorable quotes. It’s a simple idea, really well put together. A great gift for anyone in your family who is excited about the Sherlock TV special this Christmas. This lovely book has a little surprise inside, as it includes a free original filmstrip from the Disney Pixar movie Brave. The Disney Book guides you through the history of Disney, including all the classic movies, theme parks and attractions. Wonderful illustrations on every page – this is a book for the whole family to enjoy. Did you hear that there might be a new Star Wars movie coming out? I don’t know though, the marketing people have kept very quiet about it. Hope we don’t miss it if there is one. Star Wars Absolutely Everything You Need to Know as the name suggests is full of facts about a galaxy far, far away. It covers the whole saga, including cool facts, quotes and statistics. The force is strong with this one. Now, this isn’t marketed as a children’s book at all, but we reckon those of you who are food bloggers, or old enough to be let loose in the kitchen, will love it. Mary Berry shares her skills on how to cook just about anything in this clearly illustrated step by step guide. It’s a terrible thing to consider, but there are actually people out there in the world who say they don’t like reading. Of course those people just haven’t met the right books yet. So you have to get sneaky with them, like with this gift which is part book, part massive dragon craft project. The set includes a 24-page book filled with fearsome facts and striking pictures of these magnificent flying beasts, plus the pieces to easily put together a dragon of your own. Come to think of it, the Harry Potter fans might like this one too. What do you think of these books? What books will you be getting for Christmas? If you click on the book cover it will take you to the Amazon page for each book.